Our Journey of Hope’s Georgia trainings and support are sponsored by Cancer Treatment Centers of America® at Southeastern Regional Medical Center. As the director of Pastoral Care for Cancer Treatment Centers of America® (CTCA) in Newnan, GA, Rev. Chip Gordon sees his role as helping patients to understand there is hope, and then guides them to find it. 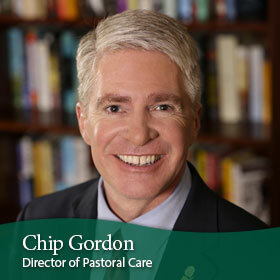 He is also available to answer any questions that patients may have at any time concerning faith. 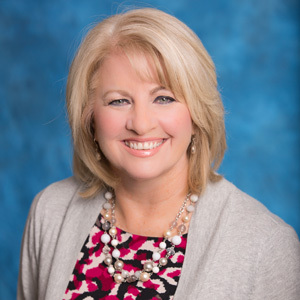 Connie Singleton serves as a spiritual outreach coordinator at CTCA® in Newnan where she manages Our Journey of Hope® and builds relationships with pastors, church leaders and organizations called to cancer care ministry. Please Note: Unique spiritual outreach offerings made available at any particular Cancer Treatment Centers of America facility may not be offered/available at another Regional site(s) location. Each unique site decides what additional outreaches it makes available to the public in its specific geographic region without expectation or obligation of being available at other regional sites. Join us for this brief time of devotion and prayer — a wonderful way to begin your day. Join us for this insightful time of learning what God’s Word says about healing. Led by graduates of Rhema Bible Training College in Tulsa, OK.
Join us for a time of support and feel encouraged as we discuss fear, anxiety and other topics patients and caregivers experience. We always close by praying for the things going on in our lives. This is an informal time so please feel free to join us when you can. We will gather together to sing songs of worship, pray for various needs, hear a message of encouragement and hope and share in communion on occasion. This service lasts approximately one hour. This special service is led by Deacons from local Catholic churches in Newnan. This service lasts approximately 20 minutes. Come learn how your church can receive biblically-based, FREE training to help develop a successful cancer care ministry.